Ross is an American chain of discount department stores. It’s headquartered in Dublin, California and operates under the slogan, “Dress for Less.” In these stores, customers are welcomed with a variety of discounted apparels, footwear, accessories, and decor. 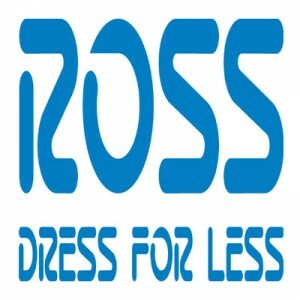 Morris Ross, opened the first Ross department store in San Bruno, California in 1950. At the time, he also oversaw the store’s management, merchandising, and bookkeeping. He managed end-to-end operations until he sold the store to William Isaacson in 1958. Isaacson expanded the brand and opened six more stores. In 1982, Ross was changed into an off-price retail store under the instruction of Stuart Moldaw and Don Rowlett. It has now grown to over 1,200 stores across the United States. With over 70,000 employees nationwide, the company provides a superior benefits plan that includes health care with medical and dental coverage, life insurance, and 401(K) for retirement readiness. The company also offers store discounts, job training, and paid vacations. The company is deeply people and development oriented. Each employee is focused on providing excellent customer service. They are true active participants of the team. The company continues to provide very clear, long-term opportunities to all employees. How old do you have to be to work at Ross Stores? The required age to start working for Ross Stores is 18 years old. A high school diploma or GED equivalent increases your chances of being hired. As one of the fastest growing retail companies in the United States, Ross Stores offers a wide selection of opportunities at their stores, buying offices, and distribution centers. Retail Associate: Associates provides end-to-end, in-store customer support. They handle customers with merchandise inquiries, assist in handling the register, monitor inventory, and keep the store clean and organized. Associates are at the forefront of keeping the store well-maintained and the customers feeling satisfied, safe, and secure. Stock Associate: Stock Associates ensure proper merchandise presentation, accurately maintaining inventory records and maintaining the stockroom. They also perform cash register duties and assist in executing theft-deterrent activities. Applicants should have the ability to work either early morning or night shifts for the post. Store Protection Specialist: Protection specialists are responsible for mitigating theft and fraud by monitoring suspicious behaviors and activities. They help keep a safe environment for both associates and customers. Specialists also assist store leadership in ensuring associate compliance with Loss Prevention rules and guidelines. Area Supervisor: Supervisors are mainly tasked to oversee the store’s overall performance including supervising retail associates, monitoring inventory flow, conducting merchandise processing, ensuring fitting room cleanliness, and other administrative duties as assigned by the store manager. To qualify for this post, previous supervisory experience is required. Merchandising – Associate Buyer: Establishes and maintains strong relationships with vendors, monitoring inventory and managing Open-To-Buy merchandise. Buyers require technical knowledge in merchandising, as well as in financial and business analytics. Applicants are required to have three years of work experience for this posting. Merchandising – Graphic Artist: Creates artwork for multiple products and projects simultaneously. Works with merchants to understand product artwork needs and with buyers to manage projects within the allotted budget and timelines. A bachelor’s degree related to the field and a minimum of five years of work experience is required for the post. Merchant Operations Analyst: Serves as a crossing point between merchants, vendors, the supply chain, and the legal department. Merchant operations analysts are responsible for ensuring compliance with industry and government regulations, developing risk-management strategies, and implementing disciplinary measures for all cases of non-compliance. Intern – DC Operations: Works in partnership with the rest of the distribution center’s associates and leadership teams to meet daily business objectives. To qualify, interns should be enrolled in a four-year non-profit university or college degree program, preferably related to Supply Chain Management, Logistics, and the like. DC Controls Technician: Performs maintenance of operator interface terminals, energy management systems, and electrical installations. Having technical skills in reading electrical schematics and configuring instrumentation, as well as being knowledgeable in other electrical, hydraulic, robotics, and vision systems is required. Previous work experience in a related field is a plus. Loss Prevention Associate: Primarily assists in protecting the store’s assets by regularly conducting safety and security tours of the distribution centers and monitoring compliance to company security policies. Loss Prevention Associates are also expected to conduct safety and security programs for all new associates. All stores have service desks where you can get and fill out an application. It is suggested that walk-in applicants should look for the store manager, confidently introduce themselves, ask for open positions, and be prepared for a possible interview. Online applicants can visit the store’s Careers page and select the career path you wish to pursue. The company have opportunities with retail, supply chain, merchandising and corporate. The site will then list all open positions for your chosen category. All applicants need to open an account with Ross Careers to proceed with the application. You would need to enter basic personal information, educational background, and employment history. Job seekers can also enroll in the Talent Network to receive updates. Previous retail and customer service experience is a plus with Ross. In your resume, include your key responsibilities and significant achievements in your previous roles. Your resume should be able to show how your efforts affect a company’s business. If the company finds your credentials suitable for the post, you will be called in for an interview. Arm yourself with basic information regarding the position and the company. Make sure to dress professionally, and be prompt, courteous and respectful. Associates enjoy a culture of teamwork and respect. Each associate is committed to play their role to ensure that customers receive superior service and at the same time come up with efficiency initiatives to promote the store’s profitability. The continued effective distribution of off-price luxury brands keeps the company competitive. Although a small quarterly growth was seen in 2017, the company continues to operate within a tough retail environment where most retailers are struggling to maintain sales. The company’s off-price business model provides significant advantages. It provides in-season designer apparels, accessories, foot wear, and home decor for deeply discounted prices. Prices are lower than those of specialty stores by as much as 60 percent. The company performs within a four-cornered social responsibility platform that includes empowering associates, supporting communities, operating sustainably, and conducting business ethically. The Stuart Moldaw Scholarship is one notable program that helps associates and their children with their educational needs. 1 How old do you have to be to work at Ross Stores?